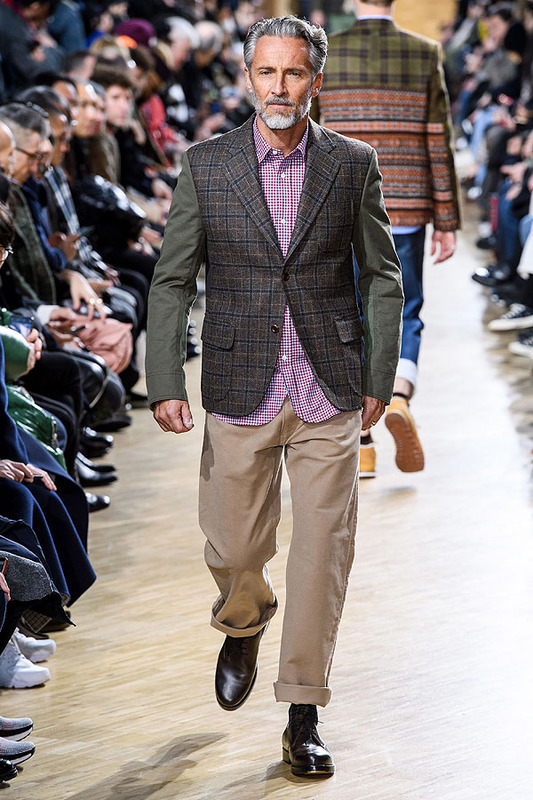 There’s a bar in Shibuya called Grandfather’s that has been around for over 40 years, with a huge collection of vinyl. 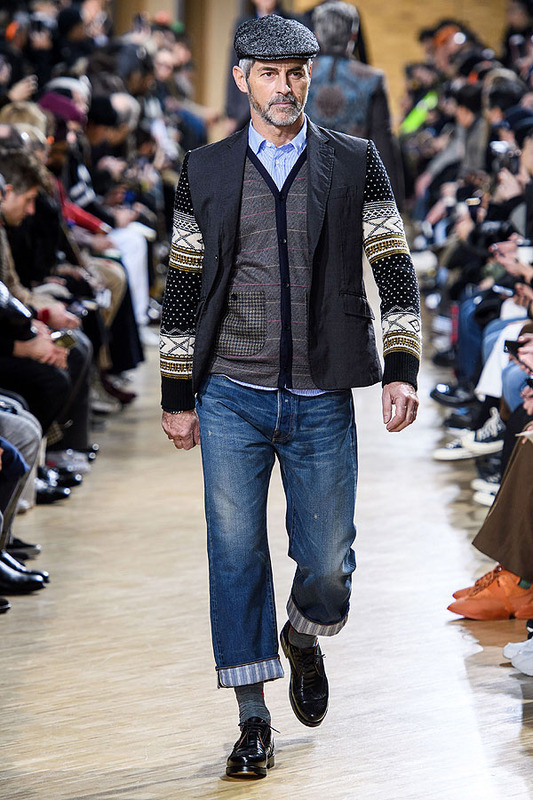 You can request music by writing a song name on a beer mat and handing it to the lady who controls the record player. 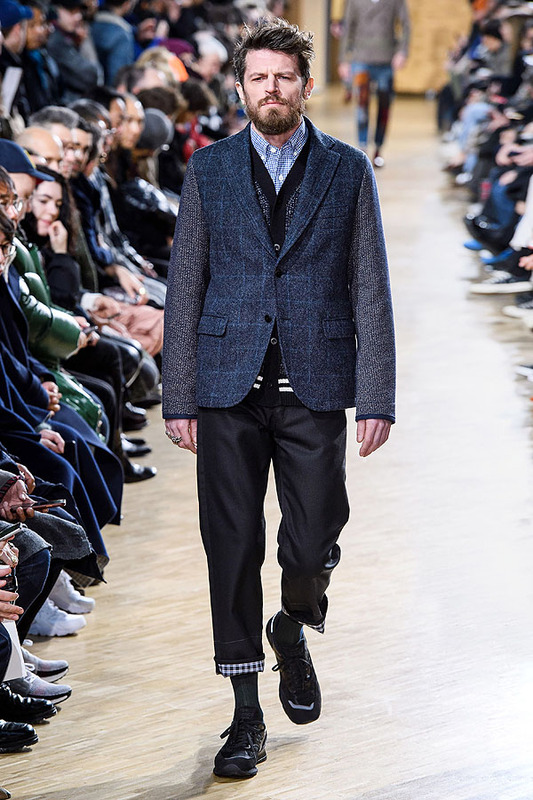 Her knowledge of the records and where they are placed (imagine finding a single disc among 2000 records) is astonishing, and the music is non-stop, with track after track blending into one another. 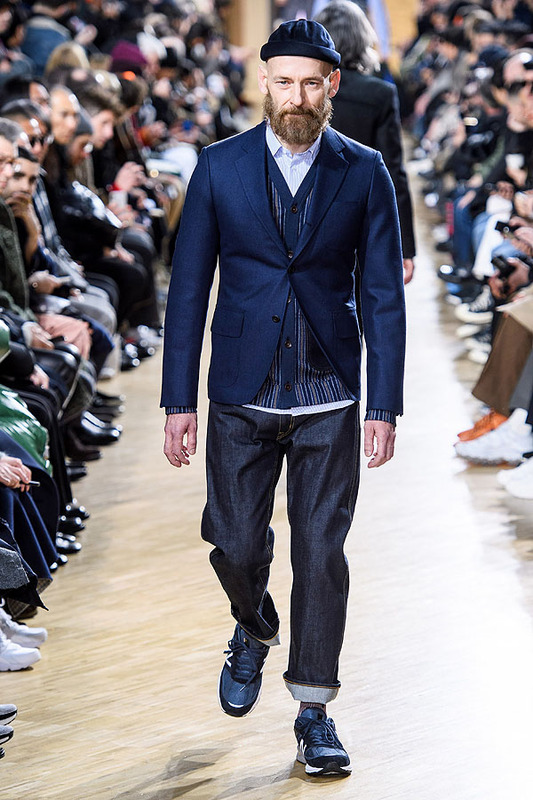 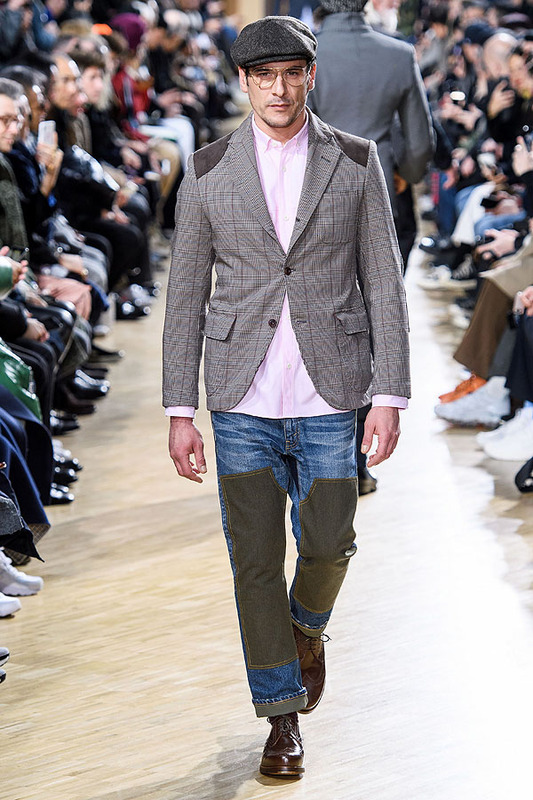 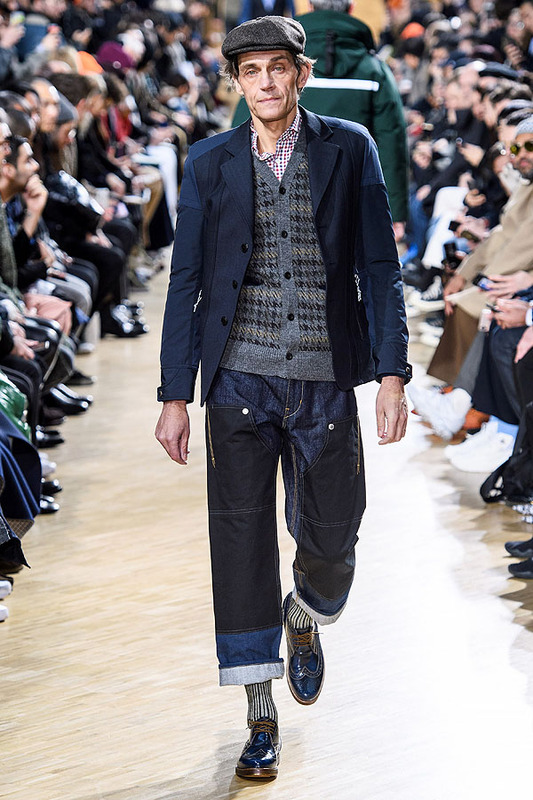 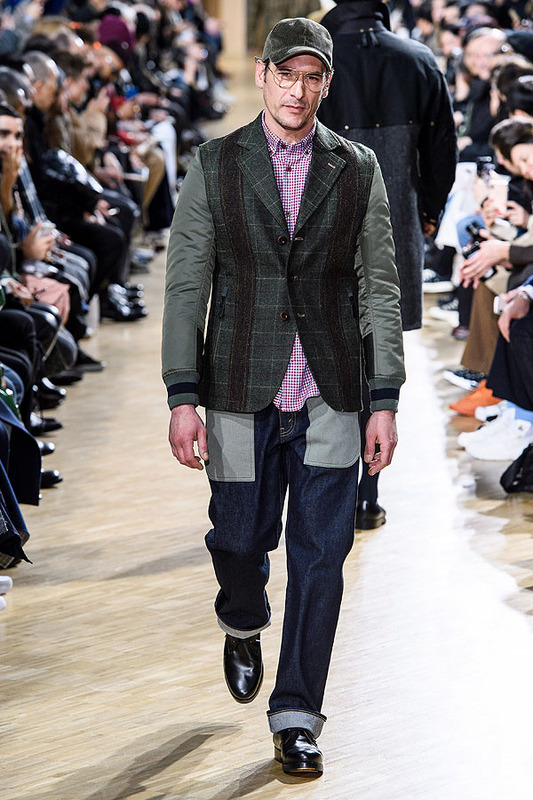 The eclectic soundtrack at Junya Watanabe today was like a good night at Grandfather’s, opening with James Brown and continuing with Tom Waits and Keith Richards, among others. 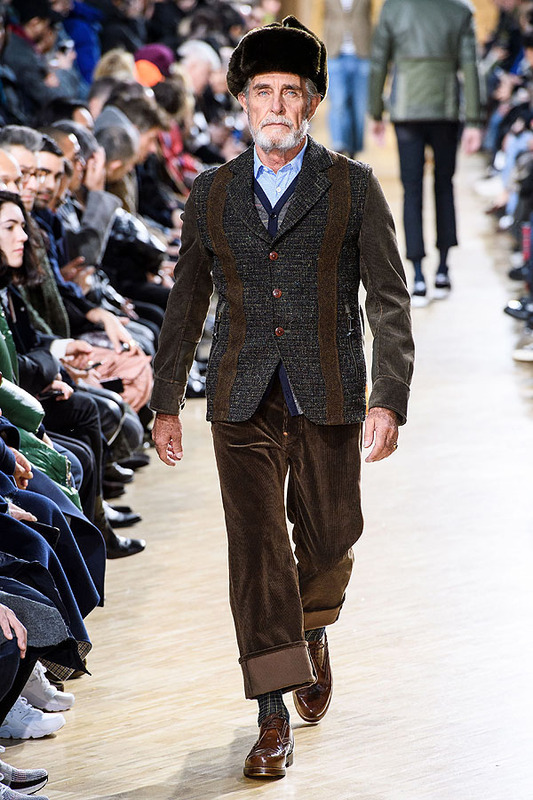 The models could have been the clientele of a good night at Grandfather’s too — older, effortless, cool, experienced. 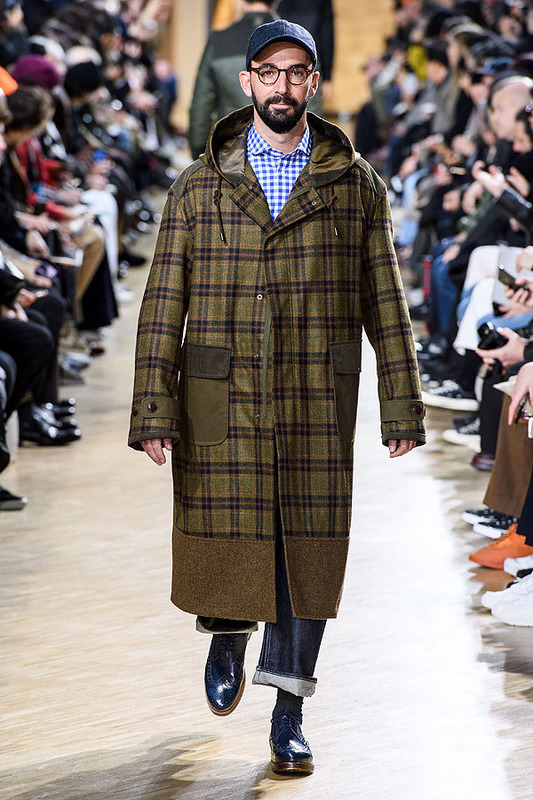 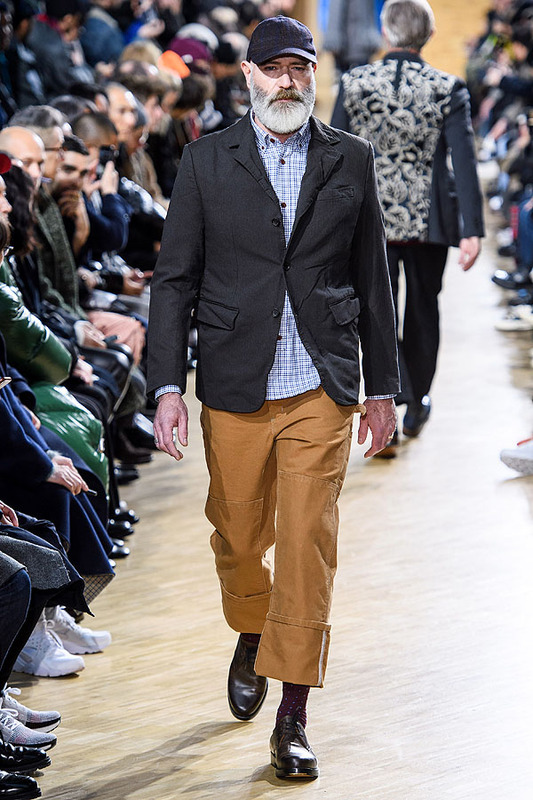 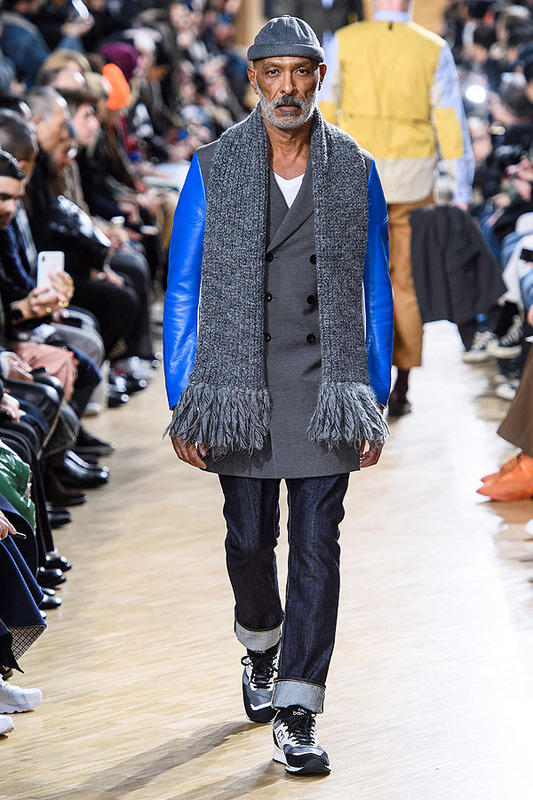 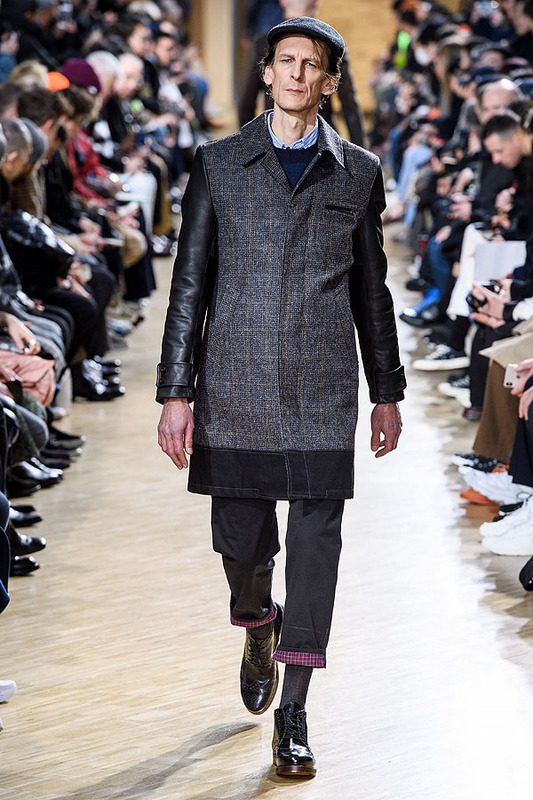 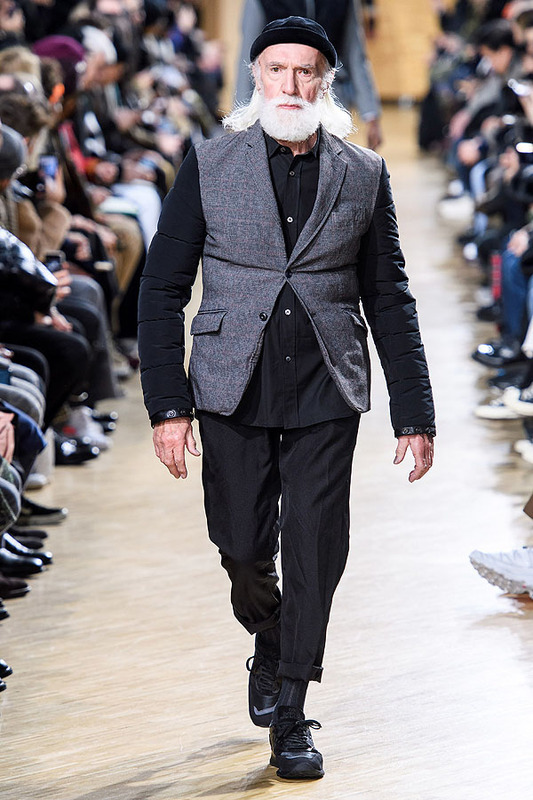 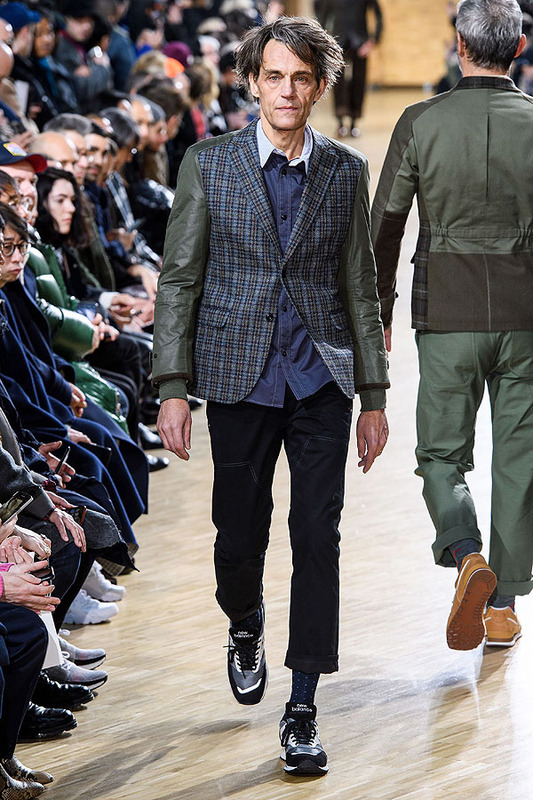 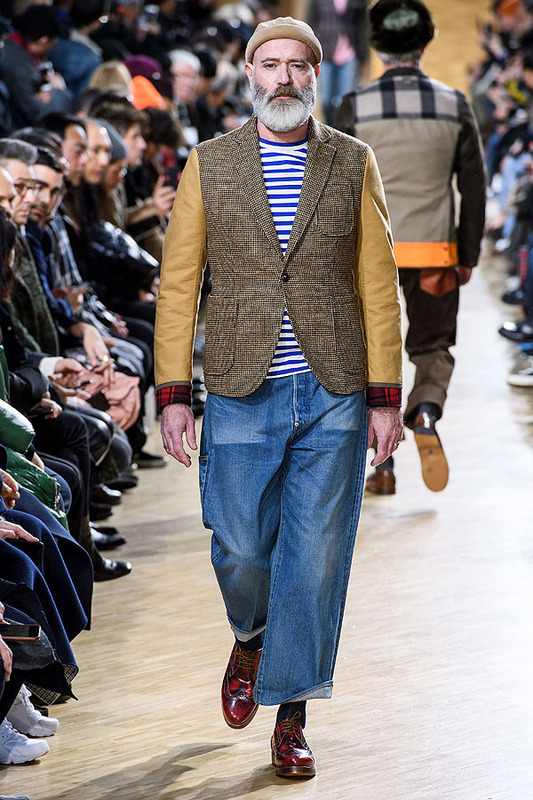 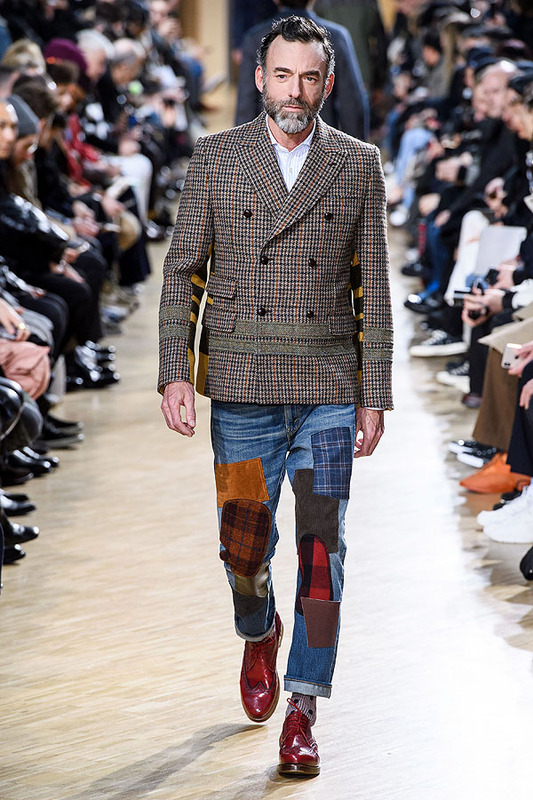 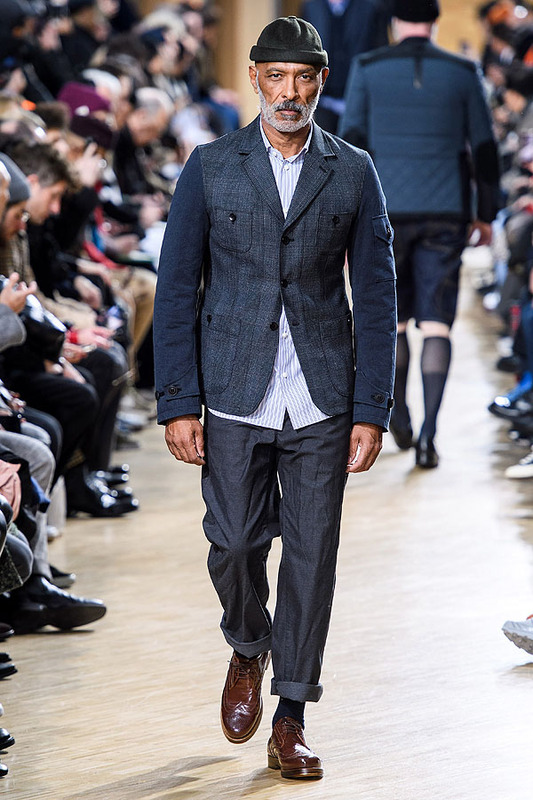 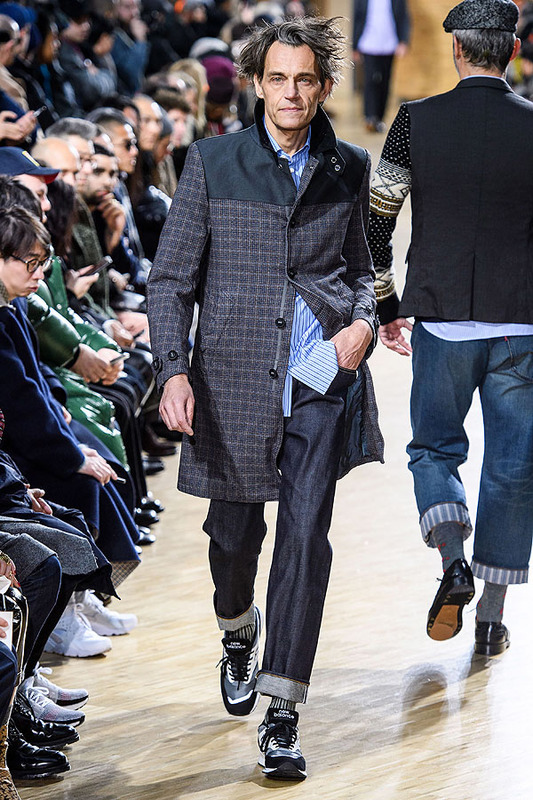 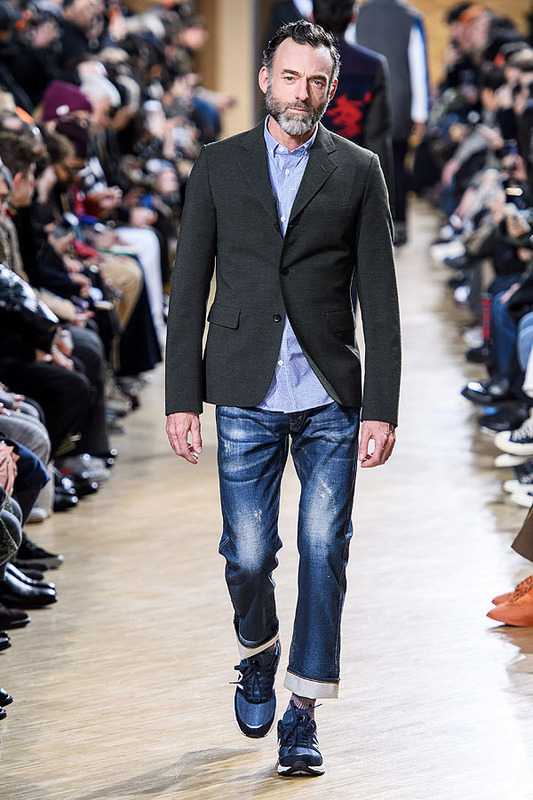 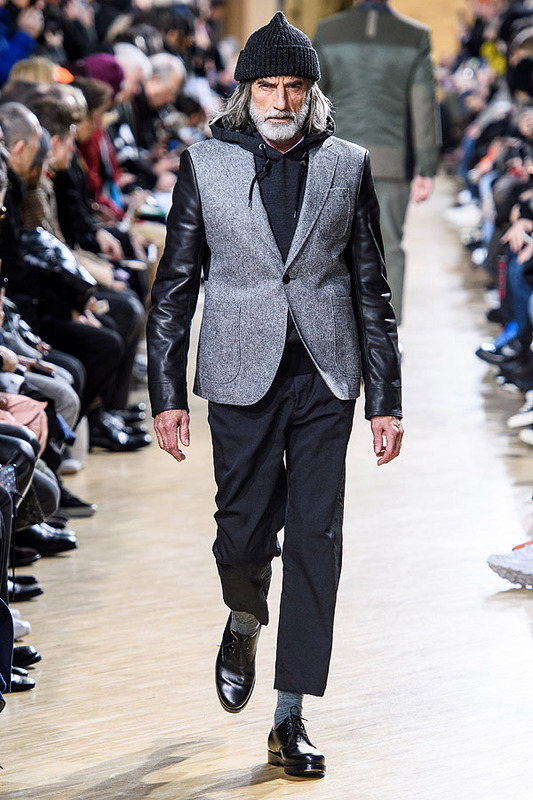 Junya is one of the only designers in fashion who is not afraid to put out a whole cast of older gentlemen. 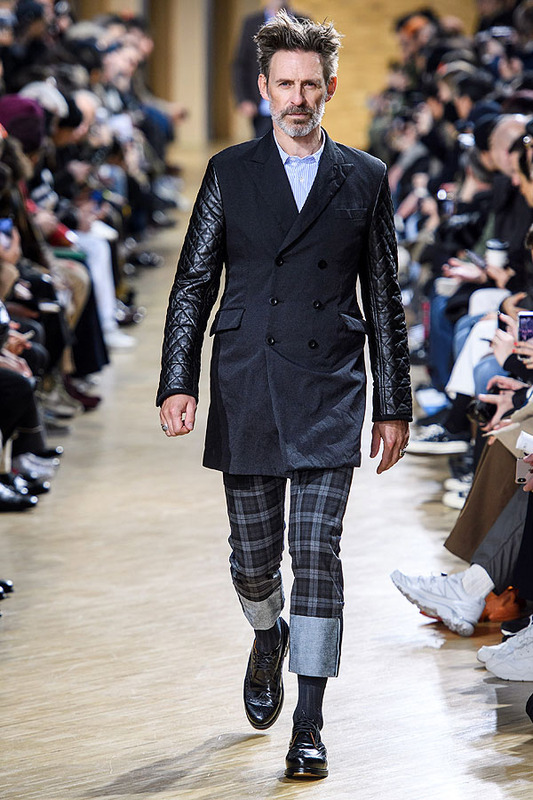 He revels in the assuredness they bring to the clothes, and the swagger they display in the runway. 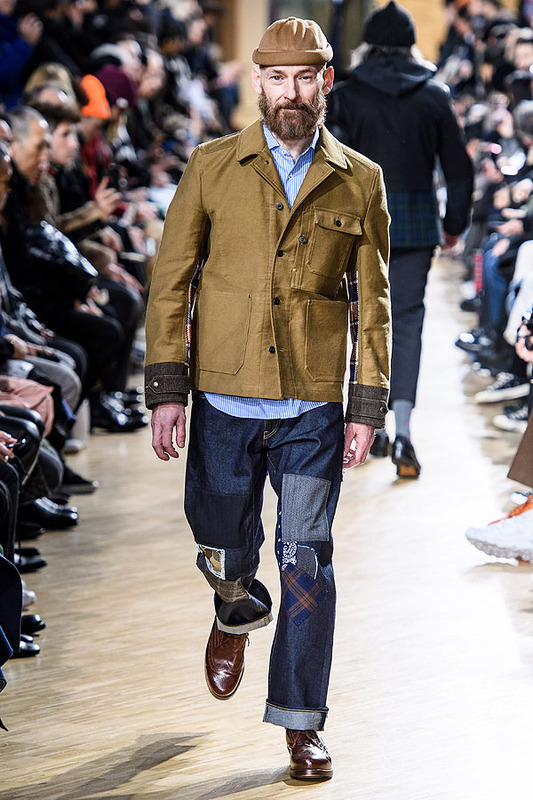 The clothes were a sartorial list of men’s staples, mashed-up and reworked: bombers & blazers, perfectos & crombies, jeans & chinos. 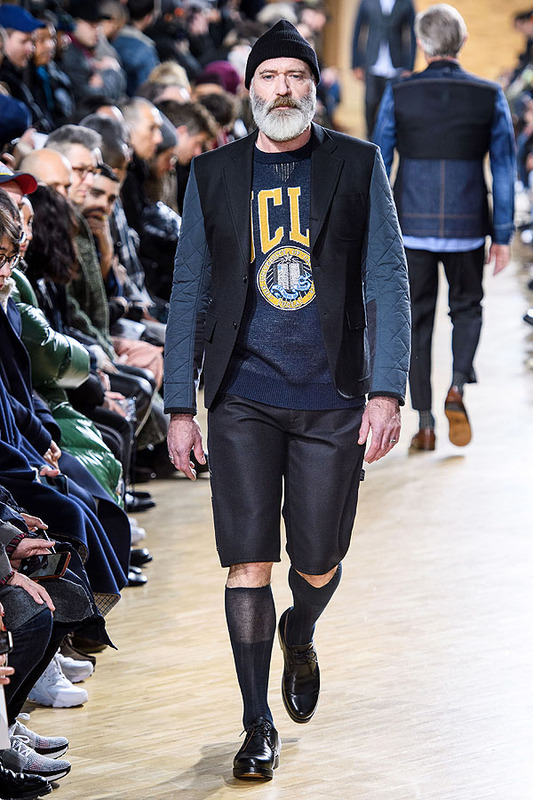 The combinations were endless. 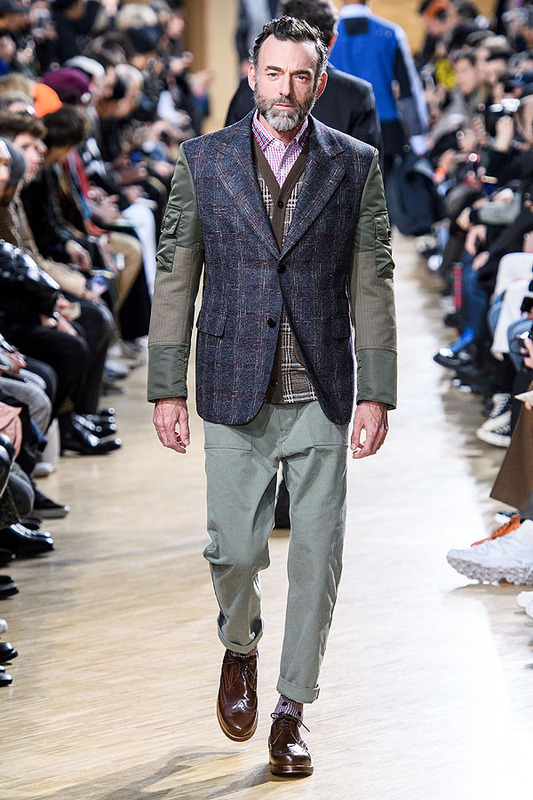 Who doesn’t love a fitted bomber sleeve, but sometimes it has to be more formal? 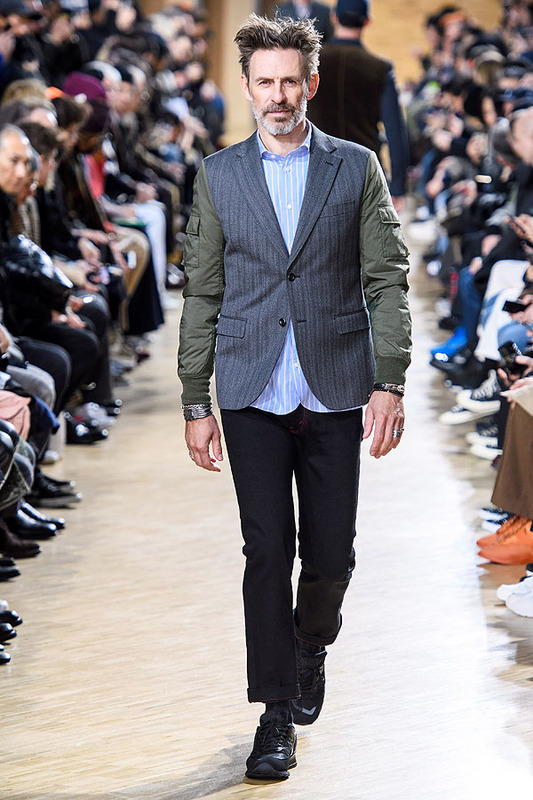 He brought new meaning to the old phrase ‘business in the front, party in the back’ with perfect blazers that had back panels replaced with knits and bomber detailing. 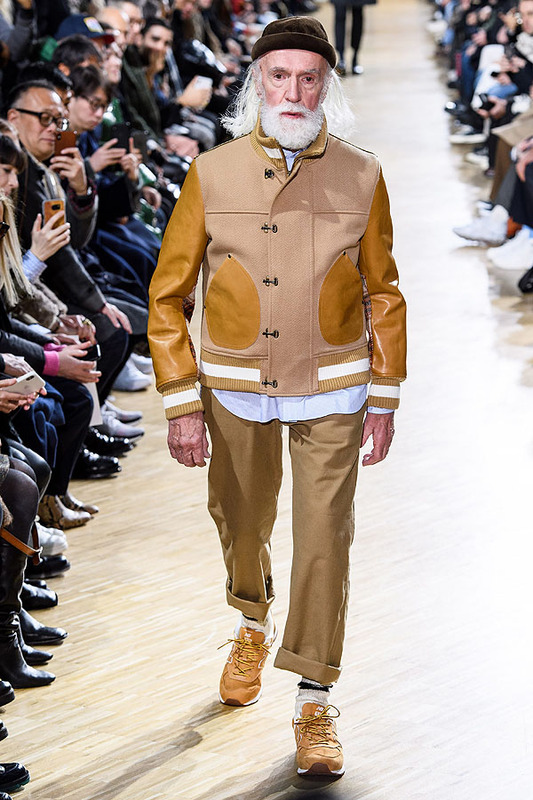 The menswear customer, after all, is closer to this age group. 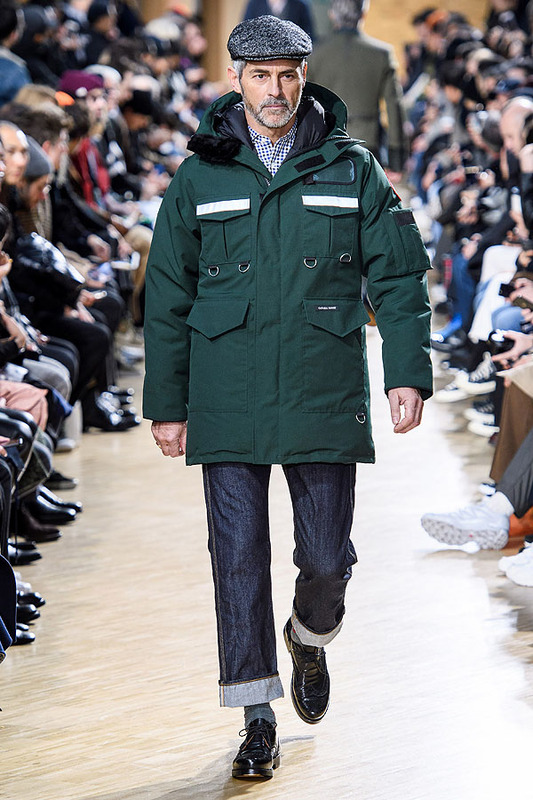 So after all the youth we have to see paraded in front of us, it's refreshing to see the real Junya connoisseurs who'll wear it off the runway.